My daughter and her friends adore playing dress up and making crafts that they can be playful with after creating. This DIY Bunny Headband Craft is a simple and perfect Easter craft to make during a playdate, family get-together or for an Easter celebration at school. After making the adorable headband kids can have fun hopping around, pretending to be bunnies and giggling in their cute bunny headband. 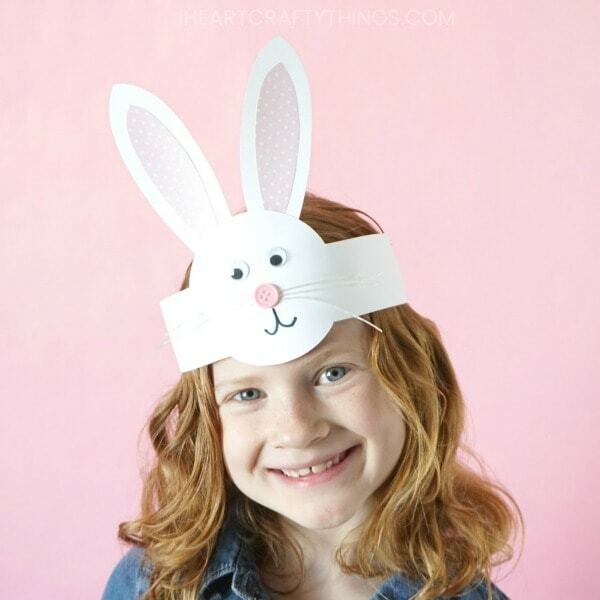 I partnered with Oriental Trading to bring you this adorable DIY Bunny Headband Craft for kids. You only need a few materials to make this simple Easter craft and we’ve included a free template to make prep time a breeze. 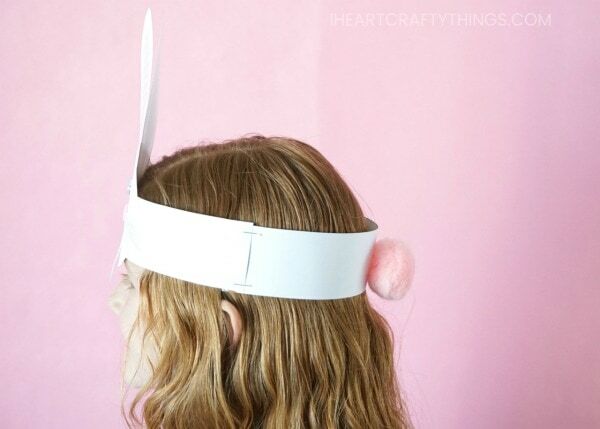 This fun bunny headband craft is especially useful if you are looking for a simple craft that a group of children can make together for Easter. Set up a craft table with the templates printed out along with the different materials needed and kids will have a blast creating their darling DIY bunny headband. That pink pom bunny tail is my favorite part! Kids will love choosing their favorite colors for customizing the inside bunny ears pieces and the fluffy bunny tail. Head over to Oriental Trading’s blog, Fun365.com, today to get the full tutorial and print out the free DIY bunny headband template. 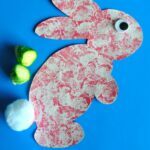 Looking for more fun Easter Crafts for Kids? 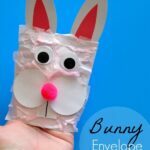 These simple bunny Easter cards are a perfect compliment to the bunny headbands since they require basically the same materials. 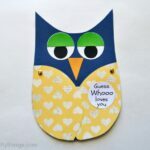 We have a template for this craft too! Have some old newspaper laying around the house? Use it to create an adorable mixed media bunny craft. I was provided with product samples free of charge by Oriental Trading to create this DIY Bunny Headband. I was also compensated to blog on the Oriental Trading Blog, Fun365.com. All ideas and opinion are my own. Thank you for this wonderful bunny hat. Made ours tonight. Such a simple and easy yet lovely hat. Thank you. I’m so pleased you enjoyed it! Thank you!